Our office takes pride in the time spent showing and explaining each procedure to our patients. Nothing is done before the child sees and understands what is going to take place. In preparation for the initial exam, it is usually adequate for you to tell your child, "You are going to visit your new dentist. She will take fun pictures of your teeth, count your teeth, and brush your teeth with her spin toothbrush. When you are all finished, she will give you cool stickers and a new toothbrush for being such a big helper." Leave the rest to us! If you feel you must go into more detail, be sure to avoid negative or fear provoking words. Please do not use words or phrases such as, “needle, shot, pull”, "Don't worry, it won't hurt", or "They won't be using a drill". These ideas may have never entered your child’s mind. Keep it simple and be positive. 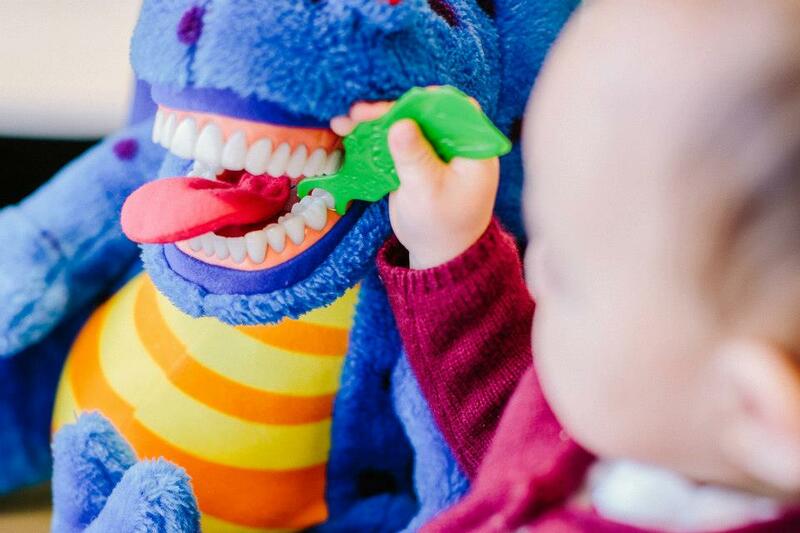 If you have never experienced a pediatric dental office, you are in for a wonderful surprise! Expect your child to react well and enjoy the visit. More than likely, this is exactly what will happen.